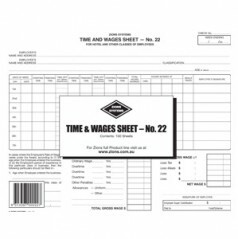 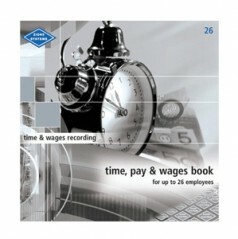 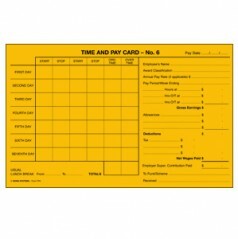 Used in conjunction with employees’ loose time sheets, bundy cards etc. 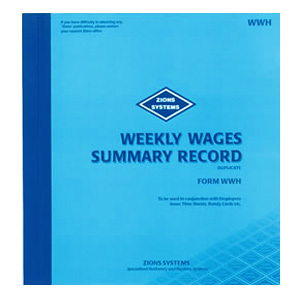 to summarise gross wages, deductions, tax, net amounts paid to employees and employer superannuation contributions. 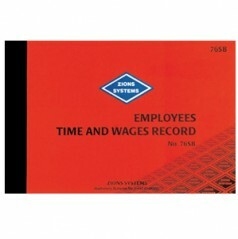 Hard covered, bound book containing 55 sets of sheets in duplicate, with bound in writing plate (no carbon required), 26 lines per page.